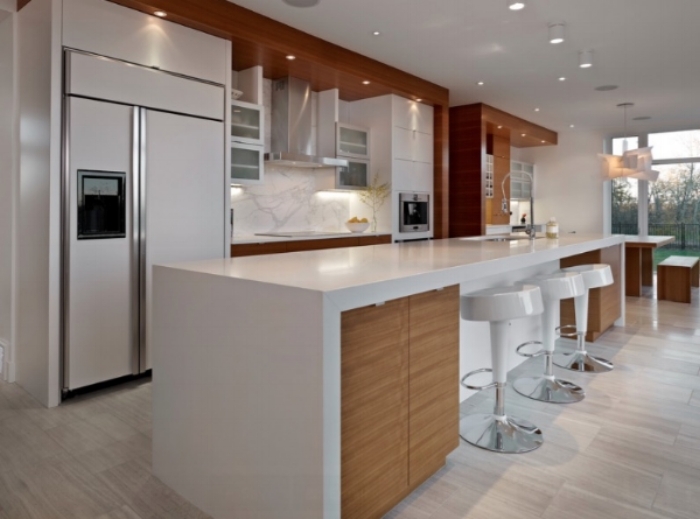 Quartz countertops are becoming popular as the new worry-free, elegant alternative to granite. Quartz countertops are manufactured with up to 93 percent quartz and seven percent pigments and resins. This prescribed mixture results in a product that is non-porous, exceedingly durable, and requires no resealing. Also, because quartz is an engineered stone, it is consistent in colour pattern and texture. RevitaStone offers a large variety of quartz options that will complement any contemporary kitchen. *As a caution, if quartz is your material of choice care must be taken to avoid putting hot pots or pans on the countertop. Because quartz countertops are a plastic/resin base with colour pigment, hot pans have been known to leave burn marks and discolouration on the countertop. Because no material whether granite, marble, or quartz is completely indestructable, there is always a chance that over time quartz countertops will chip or scratch. Repairs are more than possible by our experienced workers. If it is a job we have done in the past, we will repair damages free off cost. 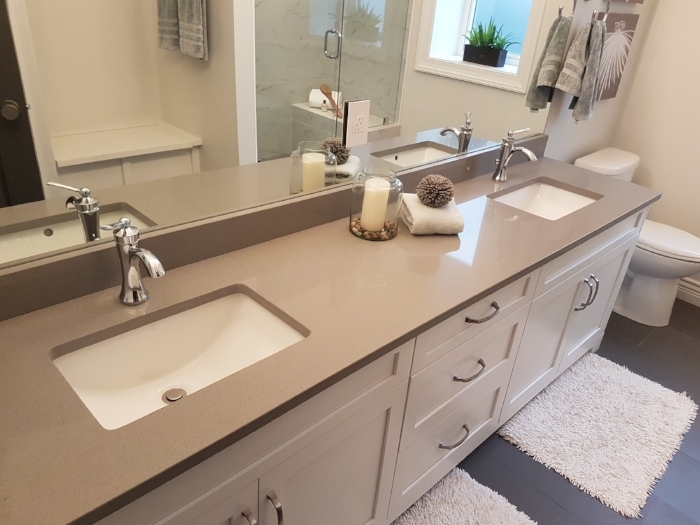 If you are a person with a quartz countertop that requires minor repairs feel free to contact us for more information on quartz countertop repairs.